Articles on nutrition, health and well-being generally encourage us to eat more fruit and vegetables to stay fit and healthy. Guidelines recommend between 5 and 10 portions per day as part of a healthy balanced diet. As a result of regular advertising and promotions, most people now recognize that eating fresh produce is better for us than eating junk food. However, what we need to be aware of is that just because something is natural doesn’t mean it isn’t bad for us. This article explores different foods that could kill you, literally. 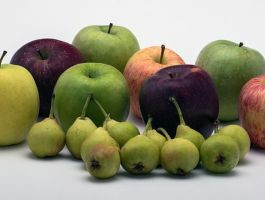 Many of us aren’t aware of it but there are a great many fruits and vegetables that have a poisonous element that could prove fatal if eaten in quantity. Here are some foods that fall under this category. 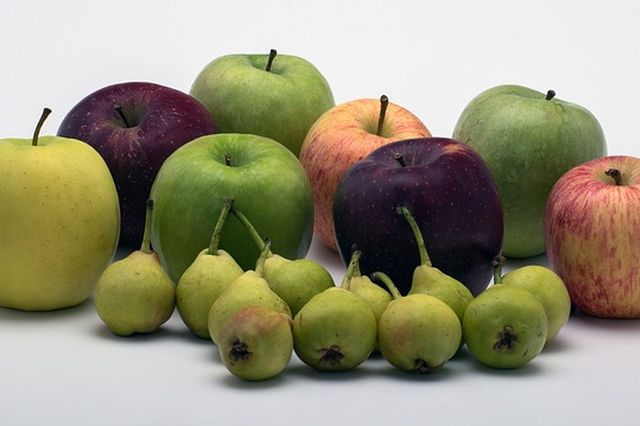 The number one fruit that’s often recommended to eat are apples. They’re loaded with nutrients including vitamin C, potassium and fiber. However, although harmless in themselves, their seeds should not be eaten. The flesh and skin is good for us, but the seeds contain cyanogenic glycosides which produce cyanide. 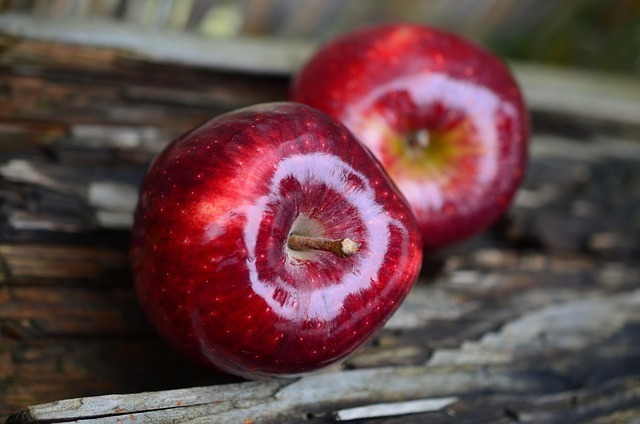 The seeds from one apple shouldn’t cause harm, so there’s no need to worry if you accidently eat one. But people have had a fatal reaction when they’ve consumed too many of the seeds. The stones in apricots, peaches, cherries and plums should not be eaten for the same reason. Although not fatal if one was swallowed whole, if crushed they become particularly toxic. It is has been said that 0.1 gram could kill someone weighing 150lbs. The gas that the stones produce is hydrogen cyanide which can cause respiratory problems, kidney failure, heightened blood pressure, sickness, confusion, comas and on occasion, death. 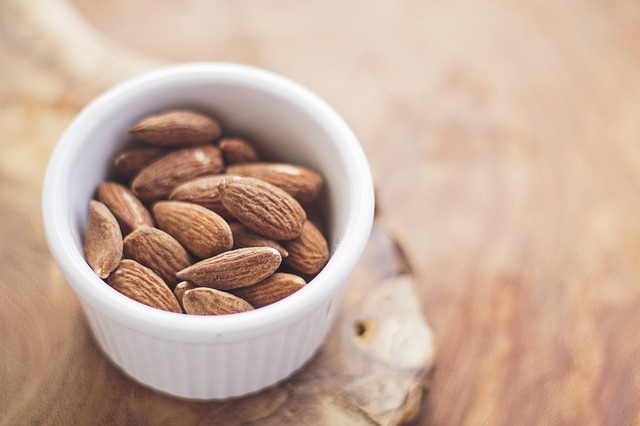 Delicious and loaded with healthy unsaturated fats, protein, fiber and magnesium, it’s easy to enjoy almonds for snacks. Almonds, which many people think of as nuts but are indeed seeds of the fruit of the almond tree. To be made safe to eat, almonds need to be processed before consumption to remove the poisons. They are full of cyanide-like toxins which can have fatal effects when raw and you eat enough of it. It takes less to harm children due to their smaller body mass. This is why in some countries the sale of raw almonds is illegal. During processing however, heat is used to destroy the cyanide-like toxins and any bacteria before they reach the consumer. This makes them safe for consumption. 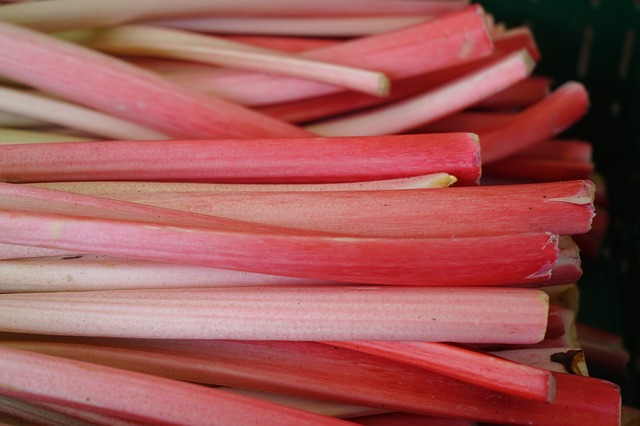 Rhubarb is another common fruit that requires caution. Although the red stalks are delicious cooked in pies, their green leaves contain a chemical used in rust removal and bleach: oxalic acid. The poison cannot be removed through cooking, so should never be eaten. The good news is that the leaves aren’t as toxic as some of the other compounds found in other fruits and vegetables. It takes a lot of rhubarb leaves to cause poisoning due to oxalic acid, to be exact 10 lbs. of leaves in a 130 lb. female. Uses in French fries and chips as well as enjoyed as side dishes like mashed or baked, potatoes are a big part of our diet. 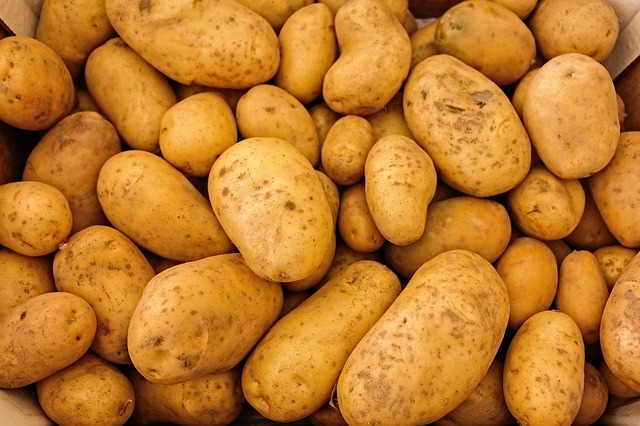 According to the National Potato Council, each American consumed 111 pounds of potatoes in 2014. Potatoes contain a chemical called solanine, which is toxic and occurs in the green portions of the potatoes as well as their sprouts. Eaten in quantity, the solanine can be poisonous causing both gastrointestinal and neurological issues, including vomiting, headaches, stomach pain and nausea. As a rule, avoid potatoes that don’t look right (including green potatoes) or taste bitter. The good news is that you’ll need to consume more than a pound of green potatoes to experience symptoms. 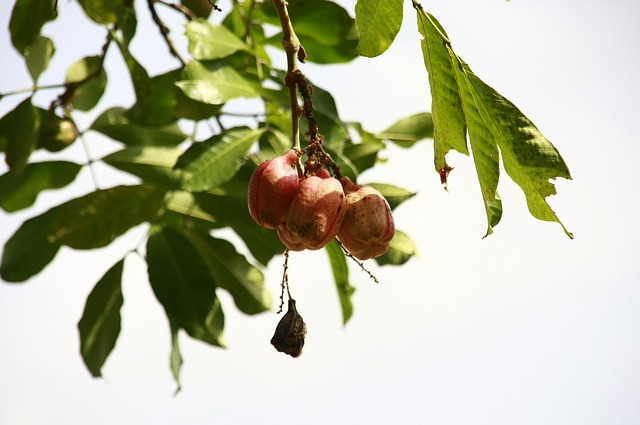 And another toxic fruit to be very careful with is a pear-like fruit from West Africa called the ackee. It must have opened and then been left to ripen before being consumed, or it could prove fatal. In fact, only tinned and frozen ackees are available in the US, where sale of the raw fruit is banned. It is also illegal to import the fruit into the country. 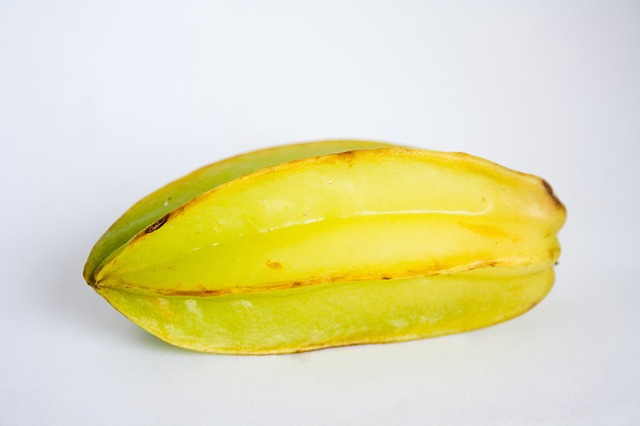 The yellow star fruit are toxic for people with kidney problems and should be avoided. Scientists however, still don’t know what the toxin is that causes damage to the nerves and brain of people whose kidneys can’t process it. But to people whose kidneys function well there doesn’t appear to be a problem when consuming the fruit. You should never eat elderberries straight from the tree either. They also contain cyanogenic glycosides, so they must be cooked before they are consumed to break down the cyanide. 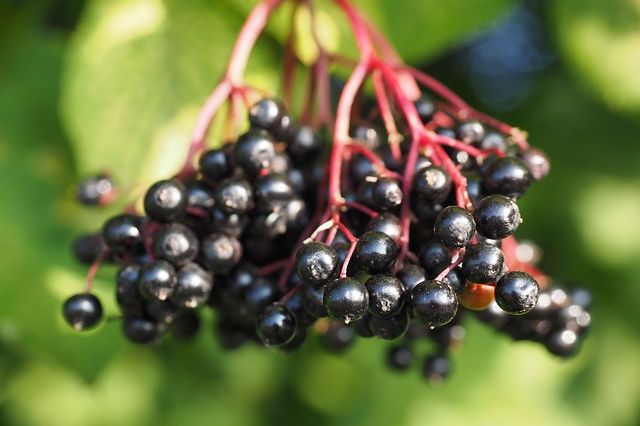 Less common berries that are found on common plants before they seed can also be extremely toxic. It’s ironic for example that the strawberry, like berry of the asparagus plant, is most definitely not edible and should be avoided by humans. And the same applies to the leaves and stalks of the tomato plant. Although for tax reasons in the US tomatoes are categorized as vegetables, in the rest of the world they are considered to be fruits, albeit of the salad variety. 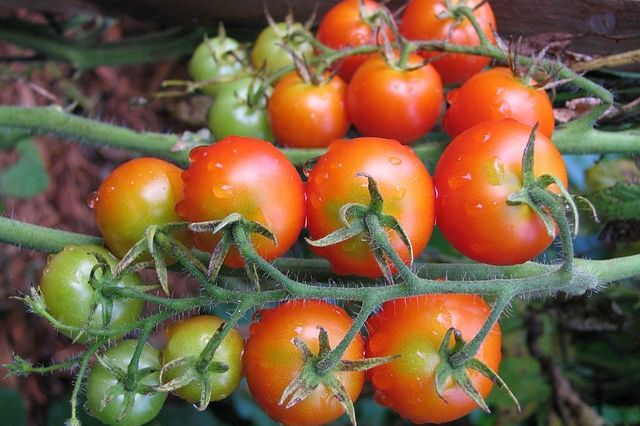 Tomatoes are part of the nightshade family which includes potatoes and eggplants. As such they contain the solanine toxin. The stems and leaves contain the highest amounts of solanine which when eaten in large amounts, 1.5 lbs. or more, can affect your health. 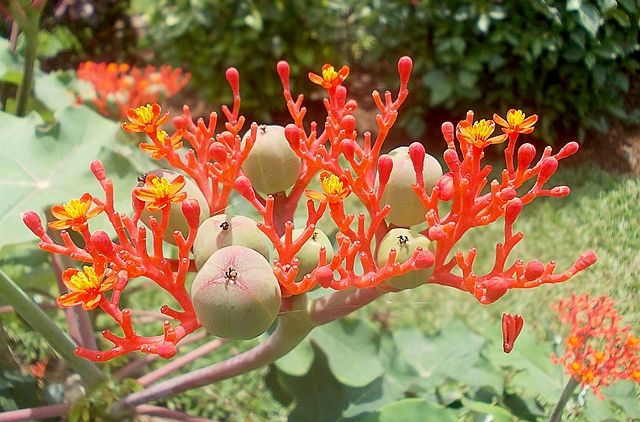 A less commonly known fruit, jatropha, is an extremely long lived plant that produces fruit and seeds for decades. The seeds, however, are extremely poisonous and should not be eaten even in small quantities. As few as three seeds could prove fatal if ingested. There are also many flowering deciduous trees whose berries look enticing but which would cause extreme sickness, or death, if consumed. It is always better to err on the side of caution if you go foraging in the woods, or find berries fallen from the trees in your garden. Children especially should be taught from a young age never to eat anything from the garden unless they ask an adult first. 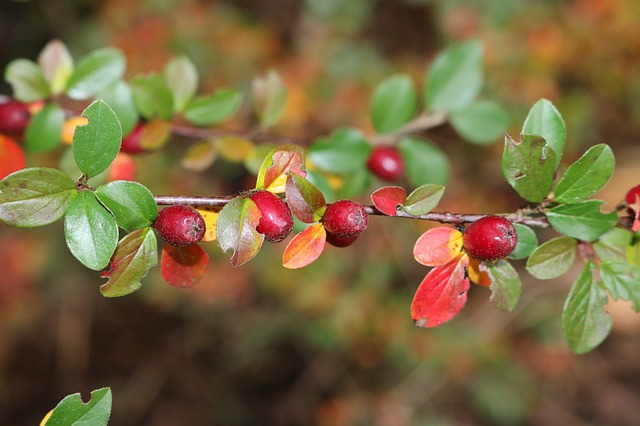 So many of these pretty berries could prove fatal to humans. Yet are ideal for birds, animals and insects. Juicing vs. Blending: Which is Better for Your Health?